Abbott graduated from the University of Washington with a Bachelor’s degree in Spanish and earned his D.O. degree from Touro University College of Osteopathic Medicine. He then completed his internship in Pennsylvania and his residency in Physical Medicine and Rehabilitation at the University of Michigan, where he was selected as Chief Resident. He also went on to complete fellowship training in Interventional Spine, Pain, and Sports Medicine at the University of Colorado. Dr. Abbott is a member of the American Academy of Physical Medicine and Rehabilitation and the North American Spine Society, and has been with Olympia Orthopaedic Associates since 2009. He is Board Certified in Physical Medicine and Rehabilitation with subspecialty certification in Electrodiagnostic Medicine, Sports Medicine and Pain Medicine. He specializes in nonoperative and interventional management of spinal disorders and electrodiagnostic evaluations. 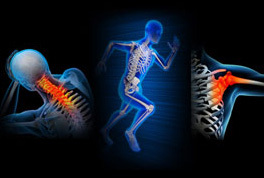 Dr. Abbott follows a physiatric approach to spine care, emphasizing the correction of underlying biomechanical deficits and avoiding the use of chronic pain medications.